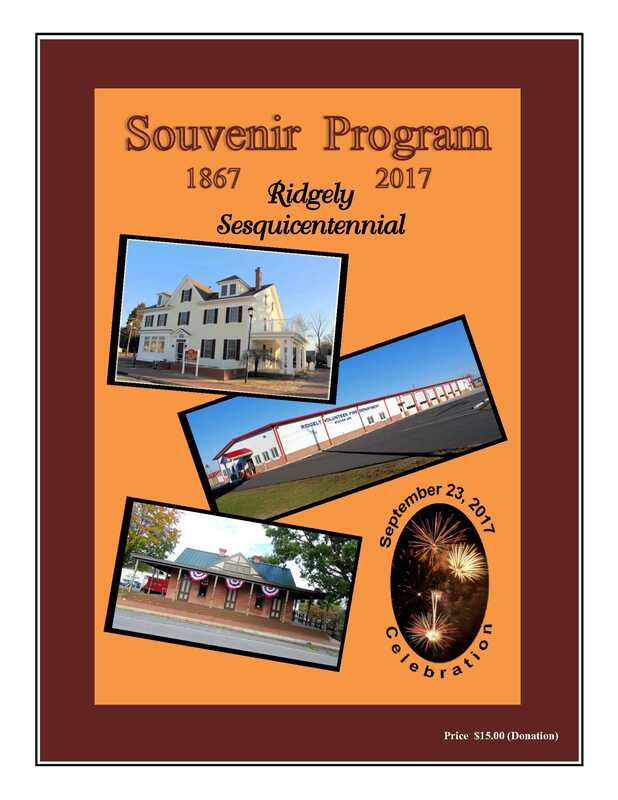 To receive a copy of the 2017 Souvenir Book of Ridgely’s Sesquicentennial Celebration, contact Cathy or Rick Schwab of the Ridgely Historical Society. Email mscakel1@aol.com or call 410-991-8225 and leave a message. The price is $15.00 which covers the printing cost. The Book is also available at the Ridgely Pharmacy. Limited copies are available. Click to view coversheets. 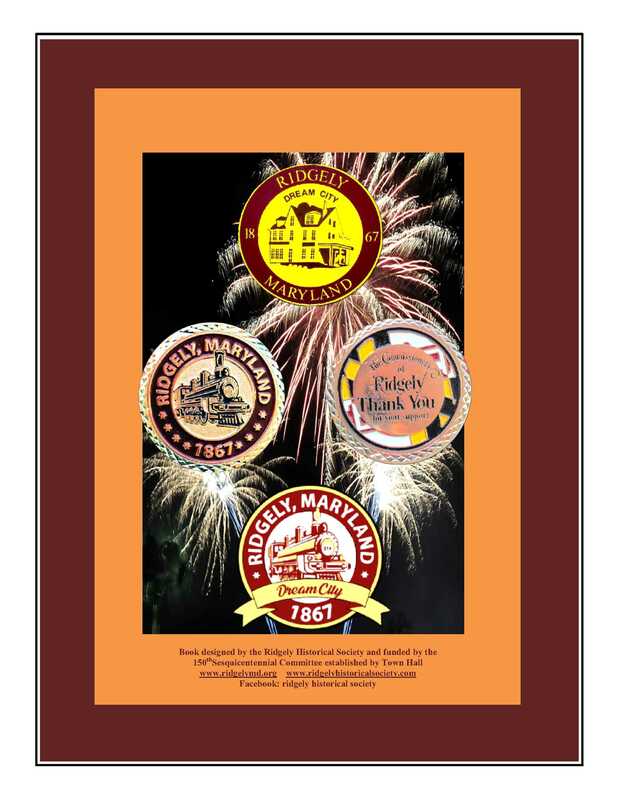 The Ridgely Historical Society was formed by Janice White the end of 2005 at a request from the Town Manager. The idea to form an historical society was an offshoot of an attempt by the Town to create an historical district. While this didn't happen, the Ridgely Historical Society became a chapter of the Caroline County Historical Society in March of 2006. 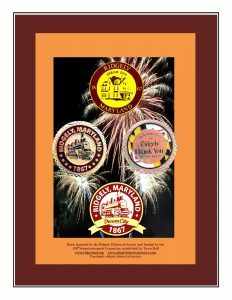 Donations made to Ridgely Historical Society, are tax deductible.